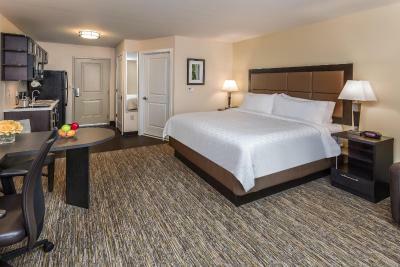 Lock in a great price for Candlewood Suites Bensalem - Philadelphia Area – rated 9.5 by recent guests! I liked the fact that i could bring my own food and cook it there. I liked that the staff was quick to resolve an issue we had with our room keys. We didnt have to wait for a long period of time. Clean , air quality perfect,bed comfortable, staff members great. The room was very clean with many amenities (refrigerator, stove, dishes/silverware, and coffee). I enjoy the fact that the fitness room was clean, and there was unlimited coffee to drink each day. I would highly recommend this hotel to those who are traveling. The room was excellent. Comfy beds. Kitchen with with everything we needed. So new and clean. Comfy beds and kitchen was awesome. New property clean and pretty quiet. Very close to Parx Horseracing and Casino with many dining options nearby. 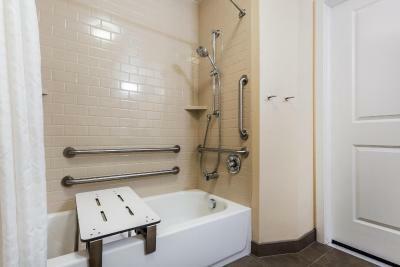 The size of the room and the cleanliness of the place. The bed was comfortable I slept very good , the air quality is very clean , I could breath with getting stuff nose , other hotel the air is very poor witch I couldn’t breathe right. 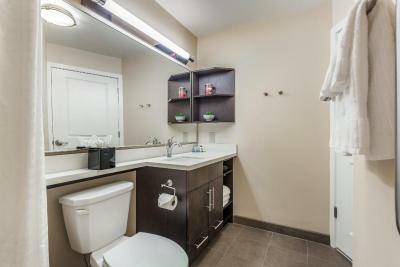 Candlewood Suites Bensalem - Philadelphia Area This rating is a reflection of how the property compares to the industry standard when it comes to price, facilities and services available. It's based on a self-evaluation by the property. Use this rating to help choose your stay! 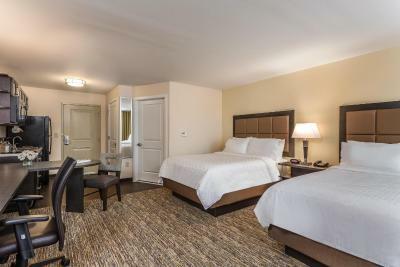 Located in Bensalem, Candlewood Suites Bensalem - Philadelphia Area features barbecue facilities and a shared lounge. 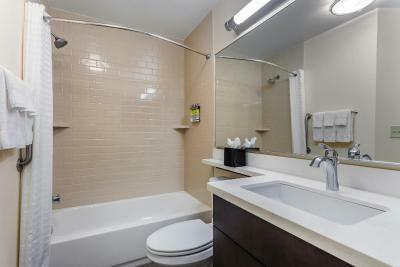 All rooms have a kitchen, a flat-screen TV with cable channels, and a private bathroom. Free WiFi and a 24-hour front desk are offered. The rooms are equipped with a dishwasher, microwave, a coffee machine, a shower, free toiletries and a desk. Guest rooms at the hotel feature air conditioning and a closet. 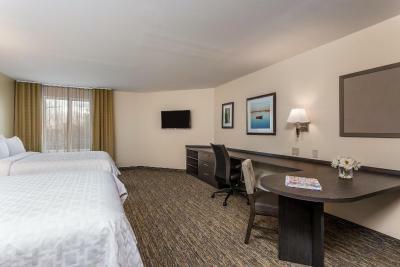 Other services and facilities offered at Candlewood Suites Bensalem include a business center, an ATM machine and newspapers. Philadelphia is 19 miles from the accommodation, while Lambertville is 19 miles away. The nearest airport is Trenton-Mercer Airport, 16 miles from Candlewood Suites Bensalem - Philadelphia Area. This property also has one of the top-rated locations in Bensalem! Guests are happier about it compared to other properties in the area. This property is also rated for the best value in Bensalem! Guests are getting more for their money when compared to other properties in this city. 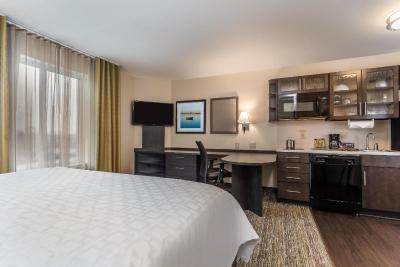 When would you like to stay at Candlewood Suites Bensalem - Philadelphia Area? This suite has a cable TV, dishwasher and microwave. 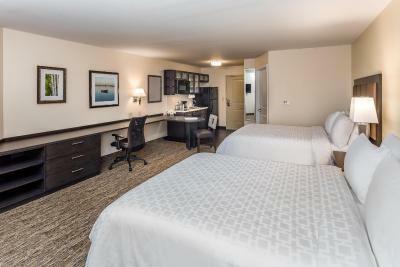 House Rules Candlewood Suites Bensalem - Philadelphia Area takes special requests – add in the next step! Candlewood Suites Bensalem - Philadelphia Area accepts these cards and reserves the right to temporarily hold an amount prior to arrival. Did not have contenetal breakfast. There was nothing that I would change other than the price was a bit high for our short stay. The hotel direction is a bit tricky because it's off the main road, and then you have to travel around an about to get there. All was great for a place to sleep. That no one said anything about my dogs being to big. Let me book another night after seeing them and didnt say anything still. Then when my dad called to get the room again, they wouldn't book due to their size.